A beautiful example of the ever so popular Yamaha U3H series finished in high gloss black polyester and fitted with soft close lid. 88 keys keyboard and 7 and a quarter octaves produce that sound and tone that all Yamaha’s are deservedly famous for. 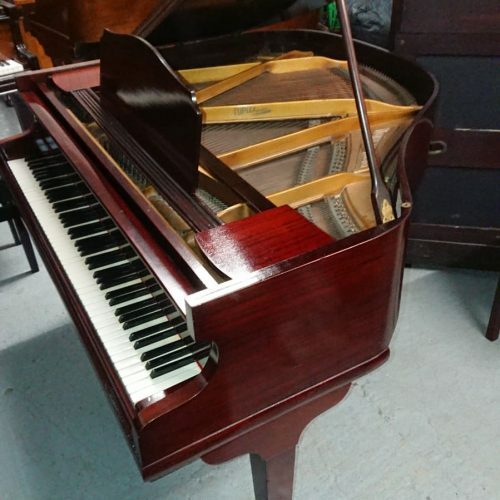 For complete peace of mind, every piano sold by ourselves undergoes a thorough and comprehensive checklist to ensure only the best pianos in the best condition are offered for sale. Price includes FREE delivery throughout the North West, FREE first tune and a 12 months warranty for complete peace of mind as well as a FREE piano stool.